What to do with all your garden-fresh zucchini? Aug. 8th is National Zucchini day! 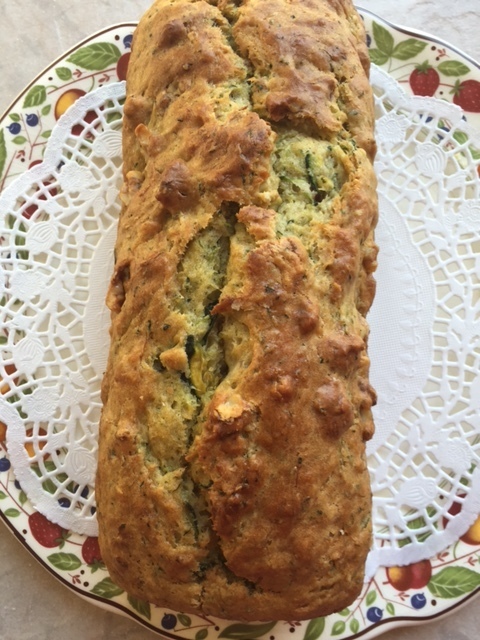 Celebrate with walnut zucchini bread, skip the cinnamon, decrease the sugar & use Villa Graziella Organic, Extra Virgin Olive Oil instead of vegetable oil. A healthy breakfast or delicious on the go snack. Makes two 9 x 5 loaves. Preheat oven to 350°F & grease two 9- by 5-inch loaf pans with olive oil. Grate zucchini & drain excess moisture with a clean cloth dish towel. Place zucchini in a large bowl, discard excess moisture. Add olive oil, Greek yogurt, vanilla extract & sugar to grated zucchini, mix ingredients. Add eggs & mix until sugar is dissolved. In another large bowl, combine flour, salt, baking soda, baking powder & lemon zest. Pour dry ingredients into wet ingredients & blend until flour is fully incorporated into a thick batter, fold in chopped walnuts, do not overmix. Scrape batter into the 2 prepared loaf pans, dividing batter evenly. Bake on middle rack until a tooth pick or knife inserted in the center comes out completely clean, approx. 55 minutes. Checking after 45 minutes & continue to check every 5 minutes until done. Set loaf pans on a rack, cool for 30 minutes. Run a knife or spatula around the edges to release & flip loaves. Slice, serve & enjoy. Zucchini bread will keep for up to 2 days at room temperature wrapped in foil, if it lasts that long! Helpful Tip: Drain excess moisture out of the grated zucchini for a lighter, less dense version. Check out the inspiration recipe!